This January, I got sidelined by a nasty respiratory whatsit that led to the consumption of copious amounts of Hot Toddies–in the name of physical well-being, of course! This also coincided with a few news reports making the rounds that touted the actual, legitimate health benefits of Hot Toddies, on which topic my grandmother would certainly concur. This got me thinking…how did booze get marketed as medicine in the days before and during Prohibition? The short answer is: very well, and with only a bare handshake’s acquaintance with the truth. There are volumes to be written on the history of medicinal alcohol, even up to the present day. 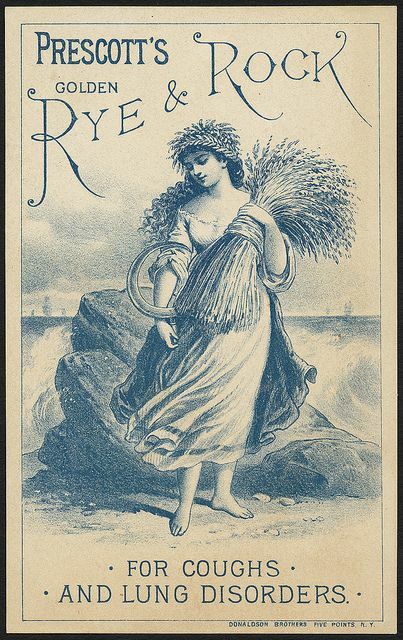 For today’s post, I thought I’d concentrate on just one immensely popular type of cold and flu remedy: the Rock & Rye. Now, since people have been fermenting and distilling, booze has always been touted as a cure-all for many ailments. Rock & Rye, so far as I can tell, hits the scene with a vengeance somewhere between 1875 and 1879. 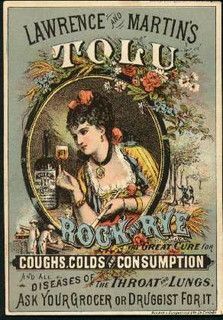 Proprietary recipes from various doctors were published in medical journals in the 1880s, and advertising for larger brands like Tolu peppered newspaper health sections. 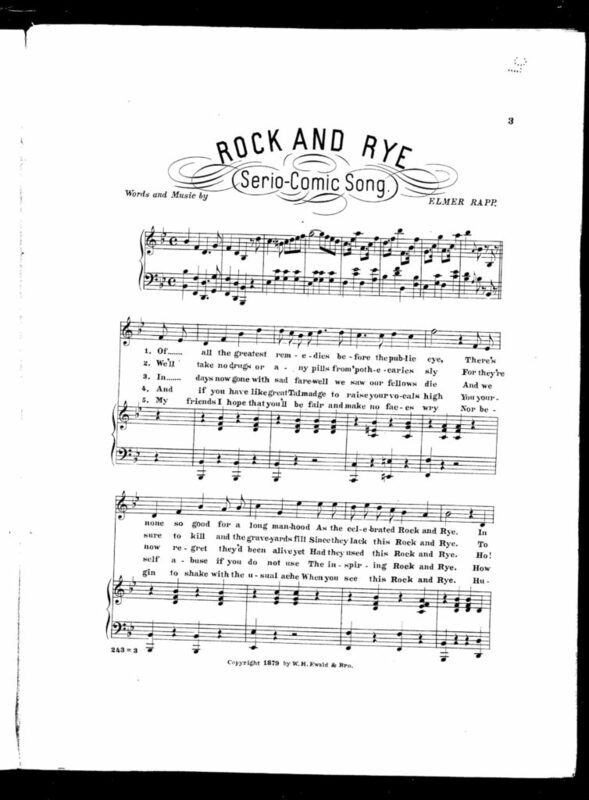 There were even songs–or at least one song, a “SerioComic” delight. 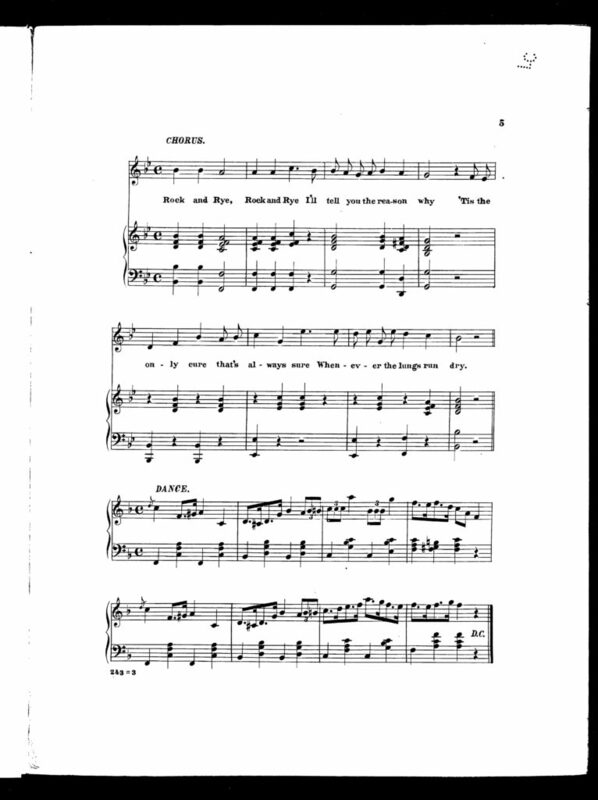 Musicians, someone please record this for me so I know what the heck an ode to Rock & Rye circa 1879 sounds like! Most Rock & Rye cocktails had a bit more than just rough whiskey and rock sugar. 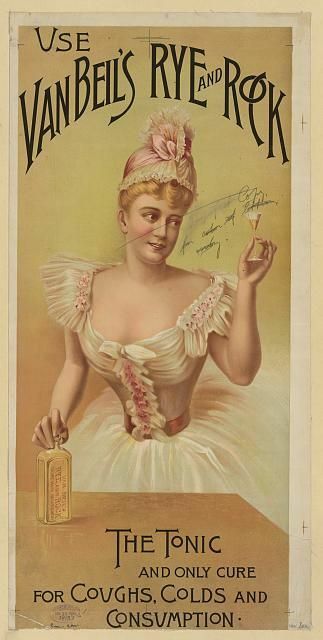 Honey was a common addition, and bitters of all kinds were added to make the drink a more complex and soothing concoction. Another common addition to Rock & Rye’s basic ingredients was horehound, which, I just discovered via Google, is a “bitter garden mint” and has quite a few medicinal properties. It’s used for every digestive issue you can think of, and it supposedly alleviates respiratory distress, too. So, good call on the horehound, there, but I’m still not sold on it tasting great. 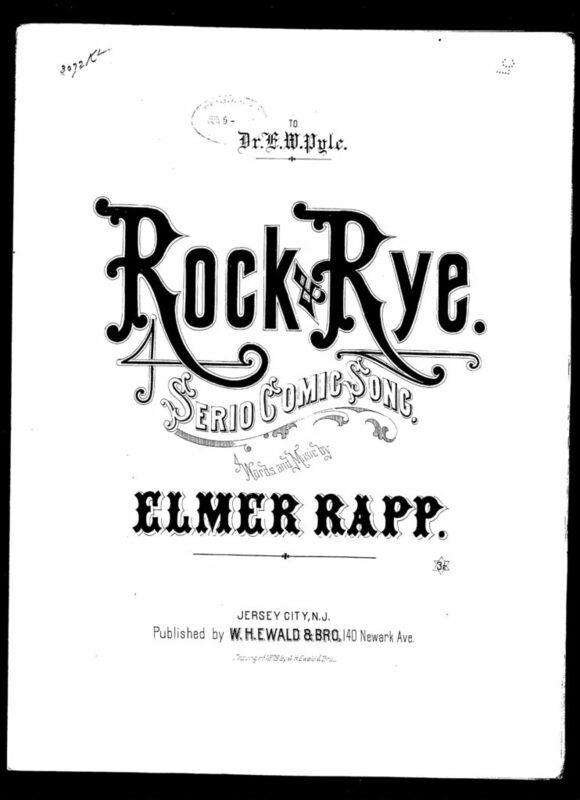 Many Rock & Rye recipes included citrus, in either orange or lemon flavoring. Molasses was another common addition, but really, the beauty of this drink is its versatility, for doctors then and for bartenders now. 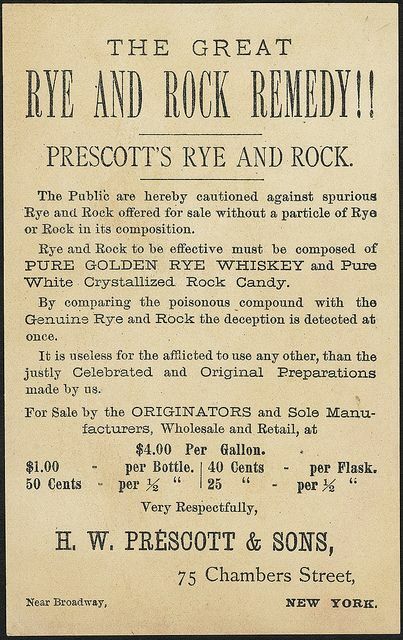 By the turn of the 20th century, Rock & Rye was a popular tonic for several illnesses. Any local druggist stocked several patented versions. In this way, Rock & Rye was one of the earliest surviving bottled cocktails–well before BuzzBalls and their ilk came about. In Detroit, Arrow bottled the bev well into the 20th century. I think the bottle below dates to the 1950s or 60s. Of course, most Detroiters know Rock & Rye as a pop flavor from our beloved Faygo. The soda company started in 1907 by the Feigenstein brothers introduced Rock & Rye in the early 1920. The sickly-sweet pop of my childhood bears little resemblance to the intense, bitter-meets-saccharine flavor of the cocktail. What it did do successfully, though, was mix well with the rotgut rye brought in by moonshiners after the advent of Prohibition. Faygo’s Rock & Rye was one of its earliest additions, and is still one of its longest-living. Thanks in part to home distillers and ‘shiners, to sweet-toothed kids, fussy grandmothers and to Juggalos, Detroiters have a unique and delightful relationship with the flavors of Rock & Rye. 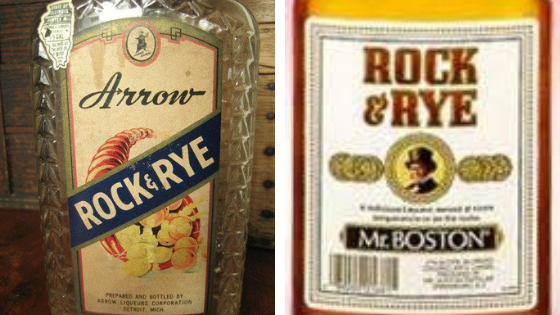 A few years ago, a slew of articles in national food and drink publications were touting The Return of Rock & Rye. It was going to be The Next Big Thing. And yet…it never quite got there. It’s a shame, really, because the Rock & Rye, like the Manhattan, is the sort of classic cocktail that is ripe for individual reinterpretation and creativity. Adding different bitters or fruits can personalize the drink and create a real knockout, yet I still don’t see it on a whole lot of menus. One new addition to the scene is a nifty little throwback. Hochstadter’s Slow & Low debuted a couple of years ago and is just starting to distribute here in Michigan. I recently had the chance to sample it with Nick Britsky of Nick Drinks. My review? They’re tiny, potent, and portable, so you can’t ask for more. Our hip-flask-slinging grandmothers would approve.